PALMDALE, Calif., March 1, 2010 -- Northrop Grumman Corporation's (NYSE:NOC) RQ-4 Global Hawk unmanned aircraft system (UAS) made aviation history Feb. 2 when it successfully completed its first roundtrip flight from the company's Palmdale, Calif., manufacturing facility. AF-20, a Block 30 Global Hawk built for the U.S. Air Force, performed the historic mission, soaring at altitudes of 58,300 feet for approximately four hours and 18 minutes. 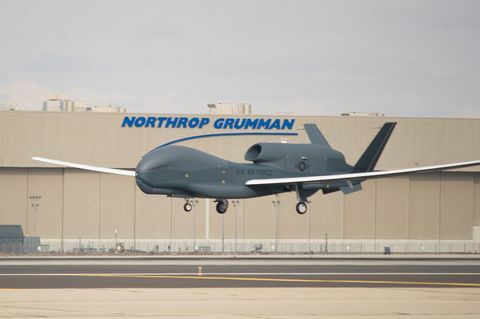 "This was the first time ever that the same Global Hawk has taken off and landed in a single mission from Palmdale, heralding a new era of flights in and out of the facility," said George Guerra, Northrop Grumman vice president of High-Altitude, Long-Endurance systems. "It's also a huge leap forward for the site as we achieve full production acceptance activities and direct deliveries to the aircraft's main operating base at Beale Air Force Base, Calif."
AF-20 is the eighth consecutive production Global Hawk to complete its operational check flight on the first attempt. 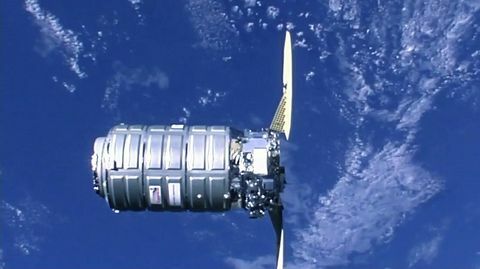 The mission also marked the first time the sixth Air Force mission control element and a King Air chase aircraft were utilized. Prior to this flight, two Global Hawks, AF-12 and AF-16, simultaneously flew historic missions on Dec. 14, 2009. AF-12, one of two Block 20 aircraft to be modified with the Battlefield Airborne Communications Node (BACN) Joint Urgent Operation Need (JUON) system payload, became the first UAS to land at Palmdale. At the same time, the AF-16 aircraft, which will be equipped with an airborne signals intelligence payload, became the first Block 30 to fly out of Beale Air Force Base, where it is currently being used for training and for initial operational test and evaluation later this year. Part of the Air Force's Objective Gateway program, BACN is an airborne gateway and communications relay system that enables warfighters to rapidly share data and information gathered by multiple users across multiple dissimilar systems present within the battlefield," said Guerra. "It is the top urgent operational need requested by field commanders and scheduled for deployment by the end of this year." AF-16 was first delivered to Beale Air Force Base on Nov. 24, 2009, after completing months of development flight tests at Edwards Air Force Base, Calif., and receiving a military airworthiness certification from the Air Force. 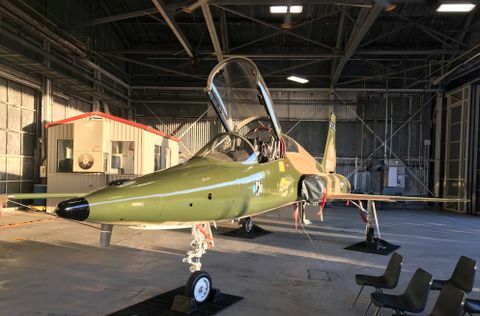 Since then, two additional Block 30 aircraft have been delivered to Beale Air Force Base, with all three planned for deployment later this year in support of overseas contingency operations. To date, 21 production Global Hawks have been delivered to the Air Force and other customers. 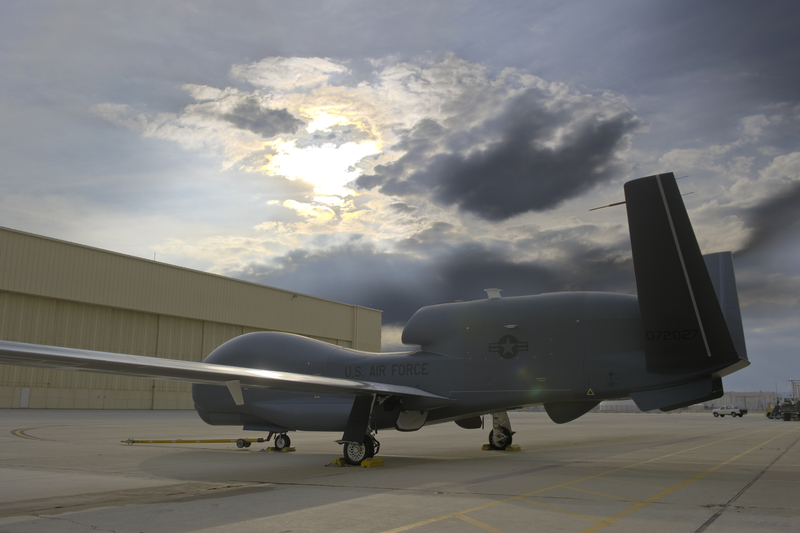 "Logging more than 30,000 combat hours since its first deployment nine years ago, Global Hawk is a highly sought after intelligence, surveillance and reconnaissance system in theater," said Steve Amburgey, Global Hawk program director for the 303d Aeronautical Systems Group at Wright-Patterson Air Force Base, Ohio. "Demonstrating its versatility and persistence, it was recently used for disaster relief support in Haiti where it provided more than 3,600 images of affected areas." 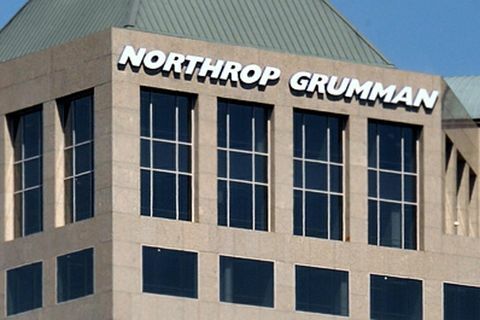 Northrop Grumman Corporation is the prime contractor on both the Global Hawk and BACN programs. The principal Global Hawk industry team includes: Aurora Flight Sciences, Bridgeport, West Va. (V-tail assembly and other composite structures); L-3 Communications, Salt Lake City (communication system); Raytheon Company, Waltham, Mass. (ground station); Rolls-Royce Corporation, Indianapolis (engine); and Vought Aircraft Industries, Dallas (wing). For more information on the RQ-4 Global Hawk UAS, please visit: www.supportglobalhawk.com .